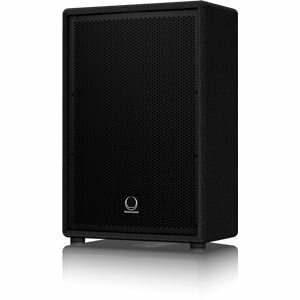 Designed for use as both a stage monitor and a front of house cabinet, the CXP-110 is a compact and versatile active full range enclosure. Designed for use as either stage monitors or for front of house, the CX range of active and passive enclosures combine portability with performance making them ideal for a wide variety of sound monitoring applications. 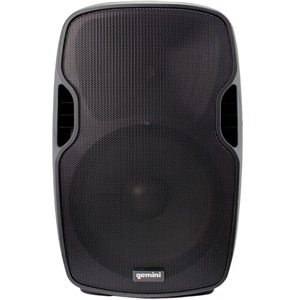 Designed and engineered in Great Britain, the CXP-110 delivers 130 watts of power and is equipped with both a 10″ woofer and HF driver. 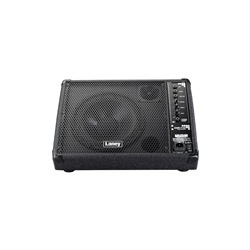 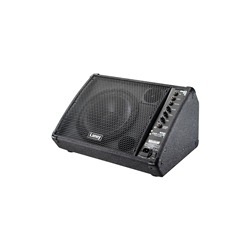 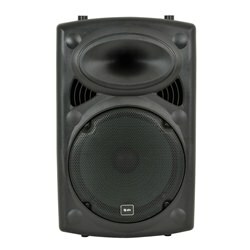 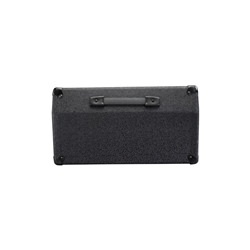 The CXP-110 is a compact, active enclosure that may be used as a stage monitor or on a speaker stand. Finished in a tough vinyl covering with metal corners with rubber feet and a kick-proof steel grill, the CXP-110 will deliver gig after gig. With a balanced Mic input, ¼ jack Line input, two-band EQ and Master Volume the CXP-110 has everything you need and nothing you don’t in a live situation. 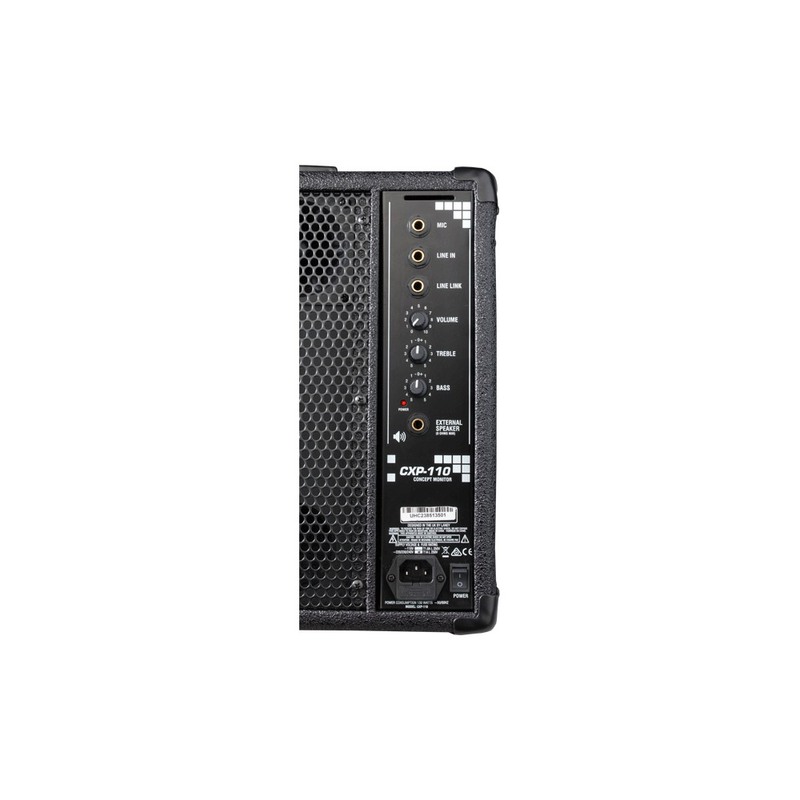 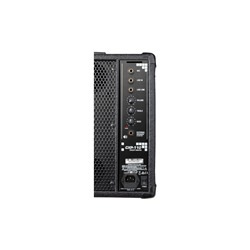 The CXP-110 includes a Line Link socket for connecting to an additional active enclosure or monitor well as an External Speaker socket for connecting to a passive cabinet (such as a CXM-110). 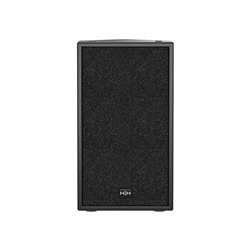 The CXP-110 is fitted with a 35mm pole stand fitting allowing the unit to be used on a speaker stand as a side fill monitor or front of house speaker when desired.